Trade Shows can do more than generate immediate leads. They establish and build your brand among media, attendees, and customers. 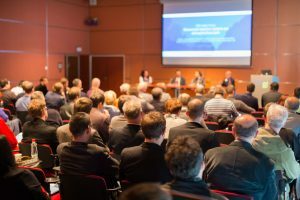 When it comes to public relations, trade shows provide your company with a unique opportunity to meet and speak with industry reporters on a one-on-one basis. Media savvy companies snap up these opportunities by contacting the reporters well in advance of the event, ensuring that they get one of the coveted interview slots. This gives tremendous additional value to attending the event by creating opportunities to build a relationship with one or more influential reporters in your industry. When we work with you on a trade show, we focus on preparing you well in advance. We will create opportunities for you to get the most out of the media coverage of the show; before, during and after the event. Attending a trade show is a significant investment. Get the most out of it by incorporating a media savvy strategy!